The fun thing about big event centers is that sometimes scheduled events may not always exactly align. 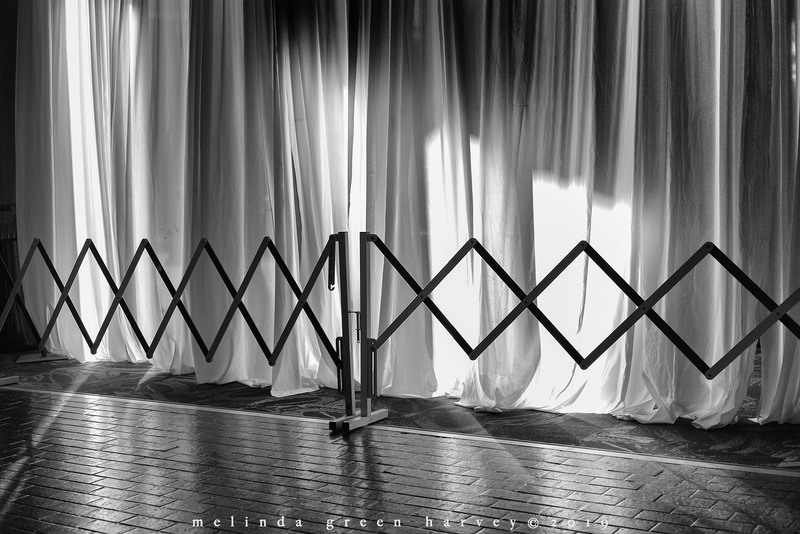 A fancy fundraising event was scheduled just across a walkway from the tattoo expo, and I guess these drapes and fence were supposed to prevent any overlap. But I think we all know that there was some degree of crossover between the two activities. 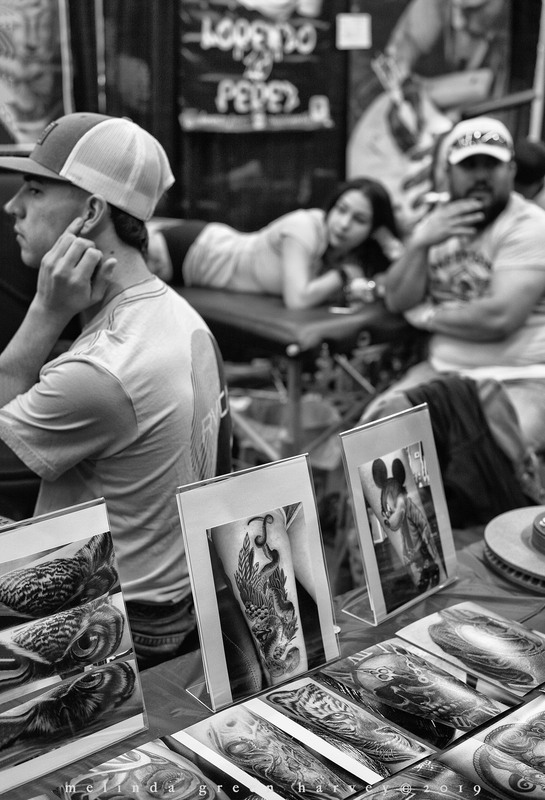 A tattoo artist, getting ready for her next customer, during a recent tattoo expo. Last August, I got a tattoo on my leg, to cover up the scar from knee-replacement surgery. I hated the scar, which made me feel really old since knee-replacement is sort of an old-person’s thing. I am aware that the tattoo is far more visible than the scar, and that my logic could be considered a bit flawed. But it makes me feel better about the whole situation. And it gave me the cred I needed to head over to the local tattoo expo the other day. I can’t explain my recent need to photograph people, though.